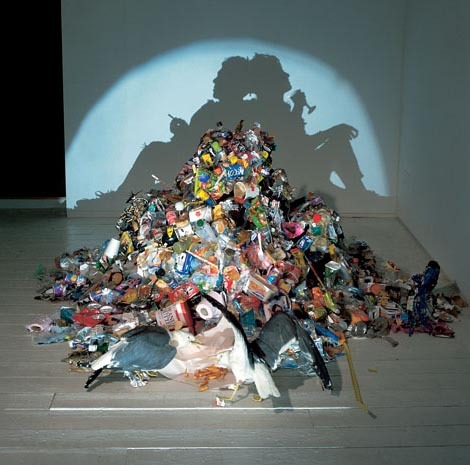 This is pretty cool- art that just looks like a pile o' trash until you shine a light on it. Why didn't I think of that? I've got plenty of trash. Anyhow, looks like a lot of effort.